In order to support the studio's mission towards rejuvenation, we are raising funds to clean up the backyard- and turn what is now the artists version of a car graveyard- into a community space. We plan to set up the existing art pieces in a more accessible manner, clean up the yard, as well as remove the fence and weeds. 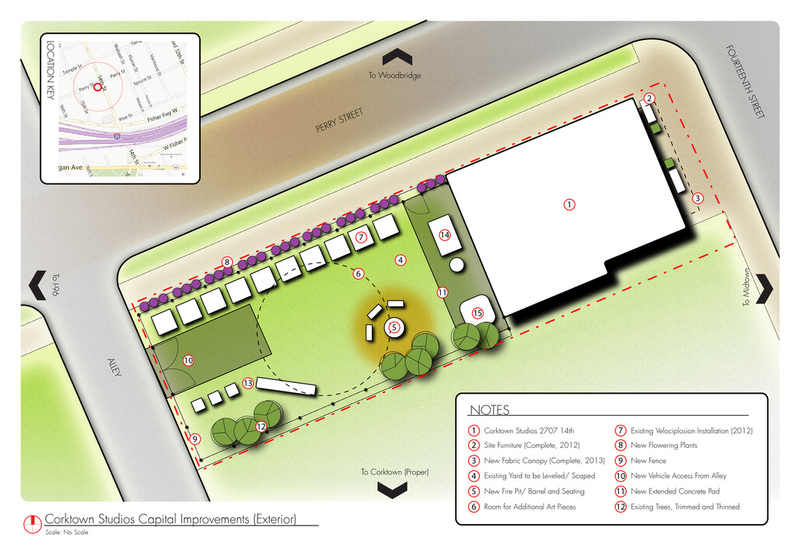 In the end we will create an outdoor artist exhibition space, as well as community art destination. In order to complete this work, we will need help gathering funding for tool rental to flatten the backyard back out [there are some ankle breaking tire ruts back there right now], remove the existing fence, and trim back the trees. If you want to support this initiative please donate below!